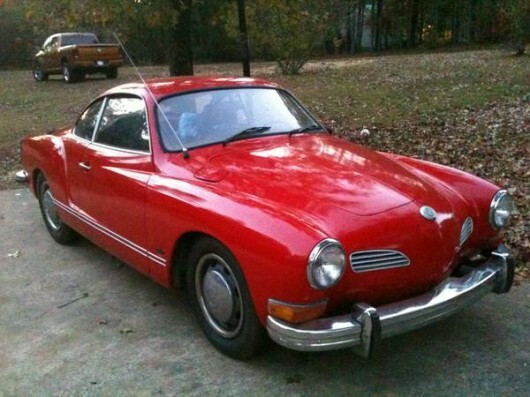 Found here on The Samba is a cherry 1968 Karmann Ghia. The car wears its original Velour Red color on a nicely restored black interior. The previous owner repainted the car and it shines nicely. 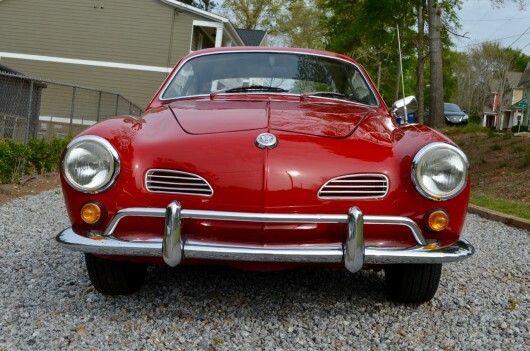 The nose is amazingly straight and free of damage, which is pretty rare for an old Ghia. Underneath the heater channels, rockers and floor pans are all solid. The 1600 Dual Port motor runs great and starts easily while the transmission shifts smoothly into all four gears plus reverse. Inside the front seats have been freshly restored with new covers and padding. The dashboard and top pad are new and all of the lights and gauges function as they should. New speakers and a new Vintage Sound stereo sound great. The headliner and all of the glass are in great shape. New H4 headlights keep things bright out front and new 15 inch steel wheels and Bridgestone tires are ready to be driven. All this Ghia needs is a new owner to hop in and start cruising. Asking $13,000 obo. Feel free to email with questions or to set up a time to check it out.